One of the greatest thrills of expedition cruising is turning up on some of the most out-of-the-way locations. Hapag-Lloyd's Expedition Südsee is one of those rare itineraries where many of the seldom, if ever, visited locations are included. 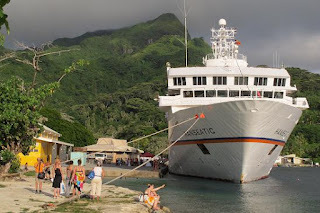 One day out from our embarkation point, Papeete, and we're tying up at a tiny wharf at theport of Fare on Huahine, the smaller, somewhat forgotten neighbour of Bora Bora in the Society Islands of French Polynesia. Reminiscent of the otherwise overlooked ports in the Marqueses I saw aboard Aranui3, this little village barely stirs even when a relatively massive vessel reverse parks on their meagre wharf. By the end of the day, local kids are climbing the mooring lines and plummeting 10m into the harbour amid whelps of fun. The island still relies on tourism to bolster its economy along with agriculture and fishing. The dominant accommodation is family-owned B&B, perfect for this sized island of just more than 6000 inhabitants. For getting around I chose not to join one of the pre-arranged tours and just get on a scooter (4800PF, about $40) and get lost. In three hours I'd circled both Huahines – Nui and Iti. The two-part island is joined by a single bridge that crosses the magnificent Baie de Maroe which locals claim is the most beautiful in the Pacific. Sure, it makes the shortlist. As I circle the island on the surprisingly good road, I tick off the sights: the ancient archaeological sites and tidal fish traps, pearl farm, vanilla farm, surf beach and site of the intriguingly named sacred blue-eyed eel, revered by the locals. Out of morbid curiosity, I also stop by the derelict Sofitel Heiva, once a premium over-water destination resort, but now a woeful shambles pounded by the elements. A groundsman, however, still keeps the lawns and gardens in perfect trim. Unfortunately our brief stay precludes investigating some of the other attractions that include underwater shark feeding and the circle tour of the islands by jet-ski. It's a popular spot for scuba divers and cruising yachties as well as serious 'Course Hawaiki Nui' canoe racers. After a busy day touring, HANSEATIC's 150 passengers sail away into the setting sun, champagne flutes waving, amid a Tannoy rendition of the ship's theme song; kind of a cross between a Munich Beer Hall sing-along and a patriotic anthem in old German style. After all, she has a her own distinguished maritime heritage to sing about. Read a more detailed account of HANSEATIC and her features in next week's Cruise Weekly. and 'home away from home' feeling our guests are accustomed to." "whisper quiet" engines have been developed to minimise emissions. Cruises on 1800 079 545 or visit www.coralprincess.com.au. 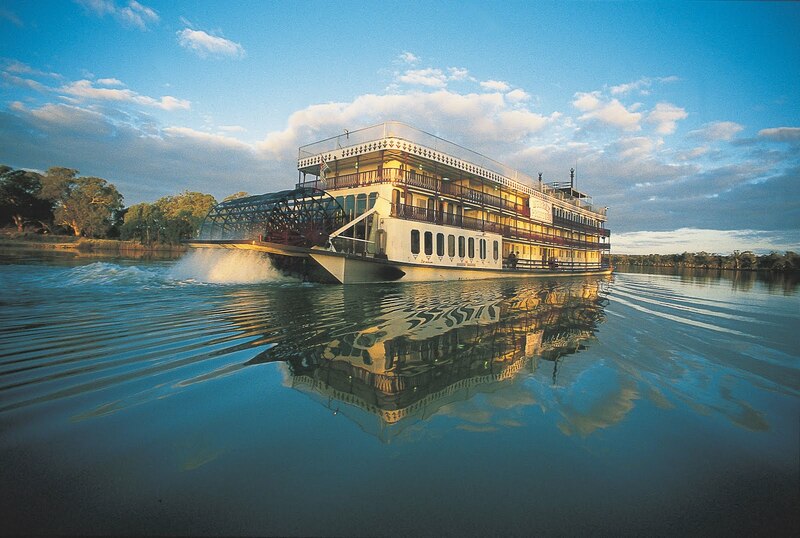 Captain Cook Cruises is offering 25% off Murray River cruises from June to August 2012 so passengers can discover the winter enchantment and beauty of the Murray River, its unique flora and fauna, secrets of Australian history and the taste sensations of the Murray's food and wine trail. There's a food and wine trial that enables tasting at a number of vineyards and cellar doors, and in the evening, an Aussie-style campfire barbecue on the river bank one night. The three nights Discovery Cruise departs every Friday at 4.30pm and prices start from $599 per person, normally $799 per person. The four nights Outback Heritage Cruise departs Mannum every Monday at 4.30pm and prices start from $799 per person, normally $1065 per person. The seven nights Murraylands & Wildlife Cruise departs Mannum every Friday and Monday at 4.30pm and prices start from $1233 per person, normally $1643 per person. 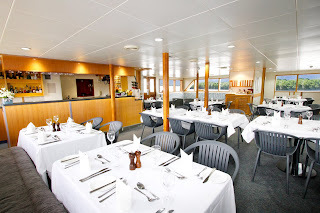 As an extra bonus Captain Cook Cruises will celebrate Christmas in July on the Murray Princess's July 20, three night cruise departure and any adults that book a group of four or more persons will receive a complimentary bottle of sparkling wine in each cabin on arrival. The sale is valid for travel 01 June to 31st August 2012 and on sale until 31 August 2012. For further information and bookings, please contact Captain Cook Cruises +61-2-9206 1111, Email: murray@captaincook.com.au or visit www.captaincook.com.au. In the dead of night, Aurora Expeditions most intrepid passengers can board their small Explorer vessel alongside expert naturalist Dan Balint in search of crocodiles. Under the spectacular night sky, guests will quietly glide through the inky waters armed with spotlights whilst developing a greater understanding of the feeding and breeding habits of these magnificent reptiles. Under the watchful eye of the expedition team, led by the original Kimberley Adventurer - Mike Cusack (Australian Geographic's Wilderness Couple), guests are taken on the voyage of a lifetime with activities including Rock Art interpretation, swimming under waterfalls, bush walks, beach BBQ's and shark feeding. Travelling aboard the newly refurbished Coral Princess with a maximum of 44 passengers, Aurora's innovative itineraries ensure passengers explore new locations each day, discovering all the highlights (and a few hidden gems) of the Kimberley Coast. Renowned art historian - Garry Darby, unlocks the wonders of the ancient rock art, with special opportunities to explore Langgi and Bigge Island - one of the most significant historical and cultural sites on the Kimberley coast with its sacred ceremonial sites and spectacular Gwion Gwion (Bradshaw) and Wandjina rock art. Other highlights include The Mermaid Boab Tree at Careening Bay where in 1820 a carpenter aboard HMS Mermaid inscribed the name of the stricken vessel on a Boab. The twin trunked Boab is now 12 meters wide and a spectacular testament to Philip Parker King's pioneering travels. Other iconic destinations include the Horizontal Waterfalls, perfect for thrill-seekers, or the awe-inspiring Montgomery Reef. 11 day Broome to Broome voyages depart on 28th May – 7th June and 8th – 18th June 2012 aboard the newly refurbished Coral Princess. Prices start from $6990 per person for the voyage. This year Aurora Expeditions will be visiting Novaya Zemlya and Franz Josef Land on its 14 day 'Voyage to the End of the Earth' cruise, departing from Murmansk on 8th September. With only one other voyage being run to this region in 2012, Aurora Expeditions is the only 'small ship' tour operator visiting this undiscovered region of the Arctic in 2012. An area shrouded in secrecy, the ability to visit the far reaches of the Russian Arctic is almost impossible to most. Aurora Expeditions Akademik Shokalskiy carries a maximum of 54 passengers, providing intimate exploration of this region. The Novaya Zemlya archipelago comprises one large island and many small, stretching 1000km in an elongated crescent between the Barents and Kara seas. A veritable feast of wildlife and history, it is the easternmost point in Europe and remains one of Russia's most restricted regions; which is why so few operators have permission to travel there. Whereas, Franz Josef Land is an archipelago of 191 ice covered islands, the planet's last major landmass to be discovered and the modern day realm of the polar bear. The remote northerly location of these stunning archipelagos supports diverse and prolific wildlife, reinforced by the creation of national parks in 2009. The privileged few who take this voyage will explore the shore and Zodiac cruise around these islands of fascinating beauty and history, witnessing spectacular displays of bird and wildlife. Kayaking is also available. · Exclusive photography mentoring led by acclaimed photographer Martin Bailey click here for more information. · A true wildlife expedition: seek out the rarest bird species of the Arctic such as the Ross´gull and ivory gulls; Greenland whales, narwhals, polar bears and walruses. · Explore rarely visited historic sites, explorers' and hunters' huts and camps. 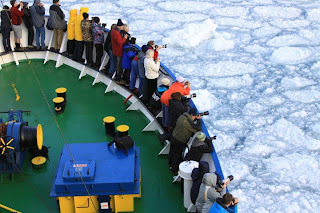 · For nearly 21 years, Aurora Expeditions have pioneered small group adventures to remote coastlines. · A passion for adventure – Each voyage aims to provide guests with the experience of a lifetime. · Taking a maximum of 54 passengers, the expert team seek out the best landing opportunities to ensure passengers maximise their time in the wilderness. · Flexible itineraries, numerous daily Zodiac landings, 24hr open bridge policy and fascinating educational lectures all contribute to ensuring the voyage of a lifetime. G Adventures is proud to announce its first ever sailing program in West Africa aboard the M/S Expedition. The cruise will enable travellers to discover this largely underexplored area of the continent with ease, while uncovering West Africa's unique historical, cultural and natural landscapes in comfort and style. The tour operator is recognized for trailblazing up-and-coming destinations and the new expeditions are among the first of their kind in the region, with ports of call including Ghana, Senegal, Benin, Cameroon and Togo. "The program is ideal for expedition cruise enthusiasts seeking fresh experiences," says Jeff Russill, G Adventures' VP of Innovation. "It will also appeal to those who have not sailed before and want the convenience of experiencing West Africa by sea instead of land." "This is a really exciting step for us. 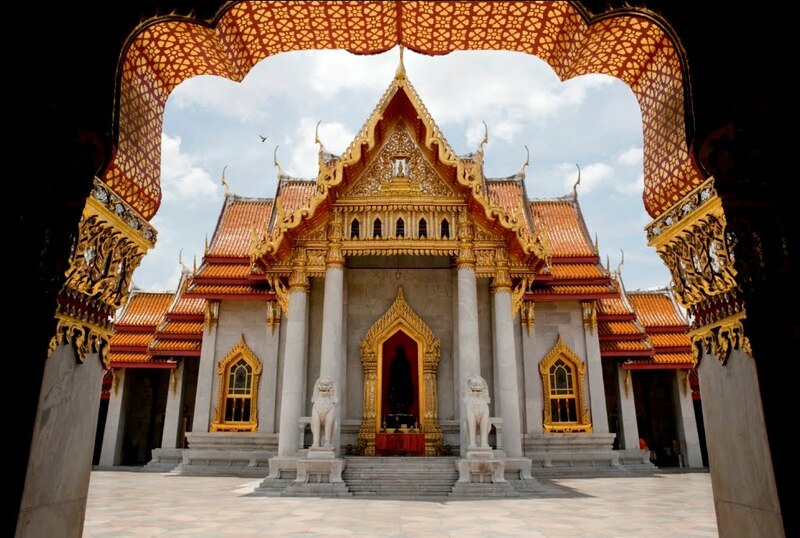 These countries are emerging destinations, little known and rarely explored by travellers. Expedition-style cruising is perfect for this region as it means our guests are safe and comfortable onboard, and local communities will benefit from the ports of call," adds Russill. "Plus, travellers can forget the hassle of unpacking and packing, and discover the very best of coastal West Africa at ease." The itineraries are designed to offer travellers a balanced combination of activity and leisure. Passengers have ample time to spot rare birds and wildlife with skilled naturalists, mingle in local markets, visit UNESCO World Heritage Sites, visit the birthplace of voodoo, trace the roots of slavery, and learn about the region from the experienced expedition staff. Passengers also explore unreachable coastlines and visit uninhabited islands and traditional villages via a fleet of zodiacs. A notable highlight is the opportunity to discover the Bijagos Archipelego off the coast of Guinea-Bissau – a rare experience offered by very few operators. 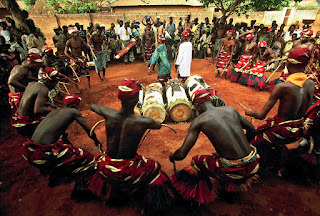 The island is a UNESCO Biosphere Reserve, one of the most unexplored places on Earth, and its inhabitants are descendants of an ancient culture that practices an animist religion. While at sea, travellers can enjoy a variety of unique activities that complete the onboard education program including sommelier-led wine tastings, lectures from a panel of experts, an African film festival, and photography, plein air painting, art and music workshops. "The world is your classroom and the most unforgettable travel moments are a result of engaging all your senses – not just by seeing," says Russill. "The itineraries provide the perfect balance between at sea days and shore excursions, and a range of activities to suit all interests." 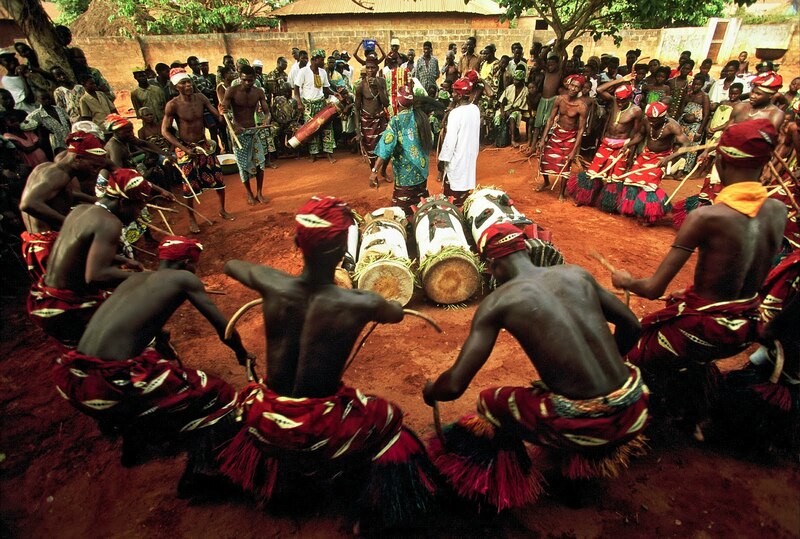 Demonstrating innovative travel in West Africa, G Adventures' land-based Voodoo Trail trip was selected as one of National Geographic Traveler Magazine's Top Tours of a Lifetime for 2009. Savvy travelers can now take advantage of Variety Cruises' unique small ship experiences with deals on last-minute bookings by April 13 on specific departure dates through 2012. Deals on new and classic itineraries aboard even their newest ships like the mega yacht Variety Voyager launching this spring, allow cruisers to indulge in exotic locales such as the mythic Greek islands, the French and Italian Rivieras, Abu Dhabi, Croatia and more. With its signature style of small-ship cruising, the family-run, Greece-based Variety Cruises is the premier line for life-enriching journeys for inquisitive travelers. Offers are valid for new reservations made until April 13, 2012, on all itineraries through October 2012 (except where noted); port charges are excluded from these discounts. Please visit, www.varietycruises.com for more information on participating sailing dates or call 1-800-319-7776 (US) and 1-866-944-8498 (Canada) to receive the 2012/13 Variety Cruises brochure. ANTIQUITY TO BYZANTIUM: Discover Ancient Greece aboard the Harmony G starting in Athens with visits to the tombs at Mycenae, Olympia and the spectacular Oracle Temple of Delphi; begins March 23, 2012. JEWEL OF THE CYCLADES: Board in Athens on the M/S Galileo, a classic steel motor sailer, en route to the Aegean Islands with stops in Santorini, Mykonos and off the beaten path islands such as Paros and Folegandros; begins April 13, 2012. CLASSICAL GREECE: Board the Harmony V mega yacht in Athens and explore stops in Mykonos, Santorini, Crete, the hidden-gem island of Kythira and more; begins April 20, 2012. AEGEAN ODYSSEY: Cruise through the Aegean Islands and Turkey aboard the Panorama (spring/fall) or Panorama II (summer) experiencing the sights and sounds of the Mediterranean's rich cultural heritage; begins April 20, 2012. TURQUOISE COAST & ISLANDS OF THE EASTERN AEGEAN: The splendor of the Turquoise Coast of Turkey and Greek Islands await travelers aboard the Panorama II as it travels through Marmaris, Rhodes, Symi, Patmos and more; begins April 27, 2012. DODECANESE MOSAIC: Travel on the three-masted Panorama sail cruiser embarking from Rhodes or Aghios Nikolaos sailing through the beautiful ports of Bodrum, Santorini and the islands of Karpathos and Amorgos; begins June 19, 2012. ROMANTIC RIVERAS: The French and Italian Rivieras come to life as the new 223-foot Variety Voyager mega yacht travels through chic hotspots such as Nice, St. Tropez, Portofino, Monte Carlo and more; begins July 14, 2012. TREASURES OF SOUTH ITALY AND MALTA: Board the new Variety Voyager mega yacht as it cruises around Sicily exploring Taormina, Syracuse, Agrigento and Cephalu, with stops on the islands of Capri, Malta and Lipari; begins September 15, 2012. 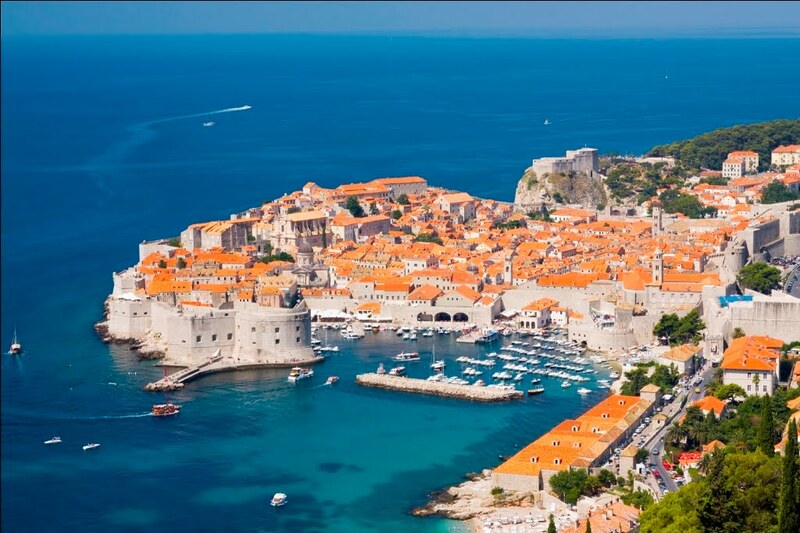 THE ADRIATIC ODYSSEY: Travel the Ionian and Adriatic Seas aboard the Harmony G setting sail from Dubrovnik or Corfu. Discover the hidden and historical treasures of Croatia, Albania and Montenegro; begins July 22, 2012. ARABIAN JOURNEYS 2012/13: Experience the wonders of the Arabian Gulf and the Omani Coast departing from Abu Dhabi to Muscat aboard the new Variety Voyager mega yacht; begins November 29, 2012. Note: Special offer is valid for specified departures on this itinerary through March 2013 with payment made in full by July 1, 2012. This issue turned out to be a real small ship and adventure issue. Spitsbergen, Dutch for 'pointed peaks', has a human population and a Polar bear population that is roughly the same. It is one of the most unspoiled wilderness areas in the world. Although 60% of the land is covered with flowing glaciers, it has incredibly diverse scenery, including tundra, fjords and mountains from which it gets its name. 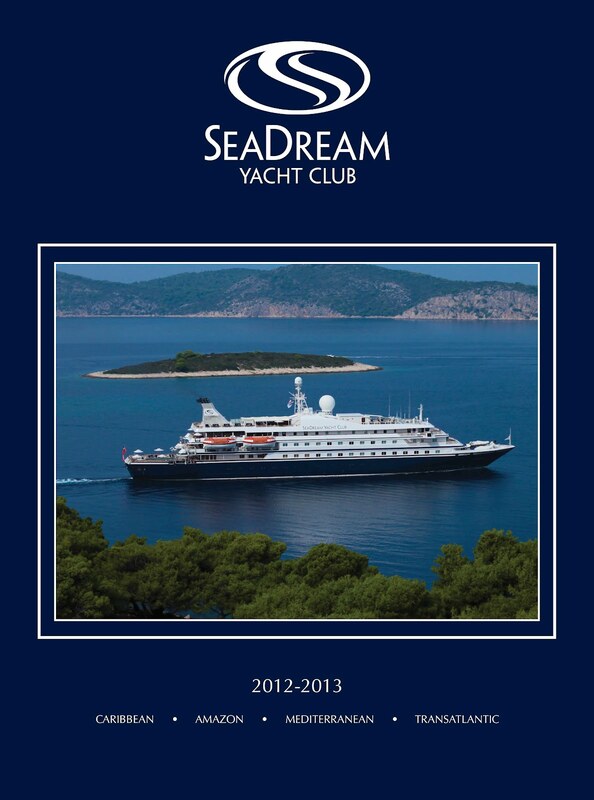 SEADREAM Yacht Club has released a new 64-page brochure that's more a coffee-table booklet reflecting SeaDream's luxury yachting lifestyle, 2012/2013 voyage schedules, destinational information, pricing, and a comprehensive look at its chic 112-guest/95-crew mega motor-cruisers SeaDream I and SeaDream II. The new brochure details SeaDream's Caribbean, Mediterranean, Amazon, Black Sea and Trans-Atlantic voyages, including 102 different ports in the Mediterranean – seventeen of them in Greece alone. Popular Mediterranean itineraries commence in May with SeaDream I sailing the French and Italian Rivera, while her twin, SeaDream II starts the summer with sailings in the Greek Islands. The 2012/2013 brochure also details a number of new voyages, among them the Amazon River with SeaDream II sailing from Barbados to Iquitos, Peru roundtrip on two, 20-night voyages beginning February 13, 2012. SeaDream II returns again to the Amazon in 2013 with a shorter, 7-night upper-Amazon itinerary sailing Iquitos, Peru roundtrip also available. 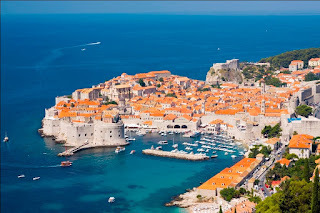 Additionally, the brochure highlights expanded ports of call in Turkey (10 ports) and Croatia (11 ports,) with other sailings including Slovenia, Bulgaria, Romania, Ukraine, Albania and Russia. SeaDream's onboard amenities include all gourmet dining, alcoholic beverages, gratuities, golf simulator, complimentary mountain bikes and a water sports marina with motorized and non-motorized water craft. 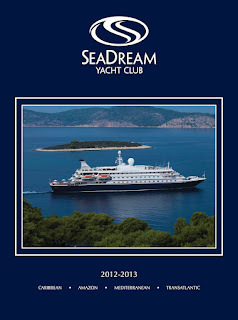 An electronic version of the new brochure can be viewed on http://www.seadream.com/view-brochure, or see travel agents. SeaDream's President, Bob Lepisto said: "This elegant new brochure reinforces the unique differences one finds when yachting with SeaDream. Well thought-out sections highlight onboard fitness and wellness offerings, service, cuisine, awards and guest testimonials. The maps, destination images, descriptions, dates and pricing are certain to make this an easy to use tool for travel agents and guests alike." 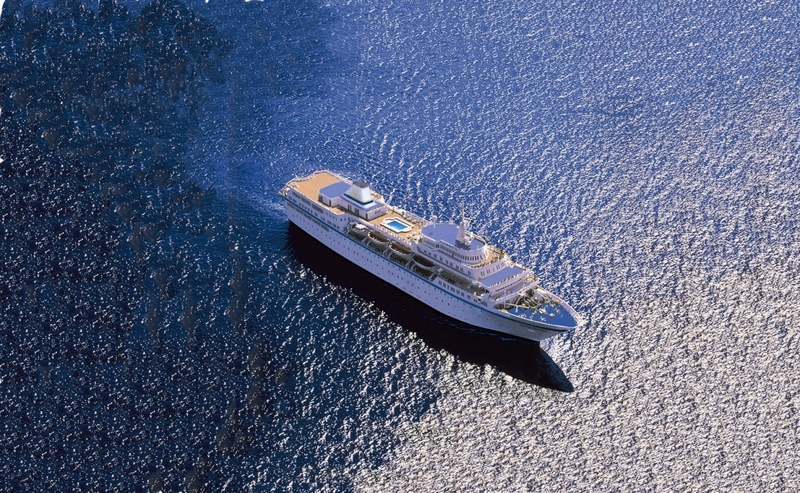 The SeaDream 'twins' operate 5- to 20-night sailings in the Caribbean, Mediterranean, Black Sea and the Amazon River. They offer an unstructured and casual holiday experience and are also available for groups and full yacht charters for meetings, incentives and individual private family or group gatherings. CRUISECO have a range of unique new cruise-holidaying opportunities in Asia in 2013 for those wanting to go that step further, by passing the crowds and glitzy entertainment in favour of a 114-passenger luxury expedition vessel whose emphasis is on spacious accommodations, fine dining, and shore excursions with naturalists, historians, ecologists, botanists, ornithologists or marine biologists. These holidays are on the MS Caledonian Sky that was previously known as Hebridean Spirit, and whose operators have had twenty years experience in taking guests off the beaten track to learn more of the world around them. Between March and October 2013, MS Caledonian Sky will sail 14-nights from the Coral Sea to the Spice Islands,15-nights circumnavigating Borneo, 12-nights through the South and East China Seas, do three 10-night cultural discovery tours of Japan and Korea, and make a 14-night circumnavigation of Sumatra. Because of her size, the refurbished MS Caledonian Sky will be able to take guests into remote and often little-known areas inaccessible to traditional cruise ships. 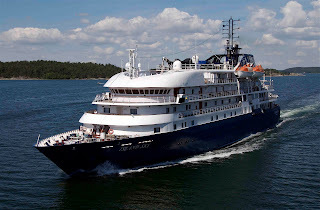 And on board, rather than Cruise Directors leading lavish entertainment programs, Caledonian Sky will have Expedition Leaders sharing their knowledge of local areas and later leading forays ashore, fine dining indoors or on deck with wines included at lunch and dinner, and spacious and luxurious cabins. As an example, the 14-night Coral Sea and Spice Islands cruise departs 15 March 2013 and when booked by 31 May, prices start from only $7,299pp twin-share, that include a generous savings of $790pp. 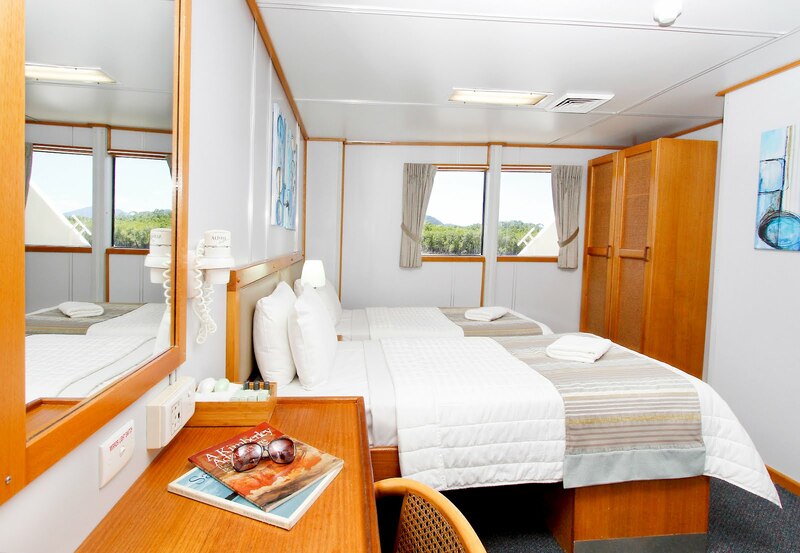 Balcony cabins begin from $9,359pp twin-share, also offering an outstanding savings of $1,590pp. Air travel is additional. Prices also include select shore excursions, gratuities to crew and whilst on excursions, transfers per cruise itinerary and port taxes. For a brochure, detailed itineraries and the name of your nearest Cruiseco cruise specialist travel agent, go to www.cruising.com.au. Specialist cruise operator Voyages to Antiquity today unveiled details of its 2013 programme of themed journeys to ancient history sites around "the old Mediterranean". Commencing next March, the unique programme will offer 16 cruises centred on the rich history of classical Mediterranean civilisations, and an appreciation of their art, architecture and cultures. Journeys last from 13 to 19 days, and some itineraries can be joined together to create Grand Cruises. All of the Voyages to Antiquity cruises will be operated with the 378-passenger Aegean Odyssey, and will include expert guides helping passengers to understand and explore the distant past in destinations including Greece, Italy, Turkey, Sicily, Croatia and Egypt. As well, all programmes by Voyages to Antiquity include as standard features a comprehensive shore excursion programme, wine with every dinner aboard the ship, gratuities and port charges – features which cost extra on other cruises. Pricing for the 2013 Mediterranean programme will be announced shortly. The Managing Director of Voyages to Antiquity, David Yellow, said: "The global cruise market is maturing and growing, creating new opportunities for specialist products such as ours. Since launching our first Mediterranean history cruises in 2010, we have enjoyed strong growth, not only from new customers but increasingly from past passengers returning to experience other itineraries in our niche portfolio. One of our best performing markets is Australia, where demand for cruise travel is growing, aided by a strong currency." Tours are designated not by names, but by statements which reflect their content – names including "Sicily is the key to everything", "The view of Jerusalem is the history of the world", "God desired to crown his work, and thus created the Kornati Islands" and "Man fears time, time fears The Pyramids". All cruises in the 2013 programme are listed below. Features of the Aegean Odyssey include two restaurants and an outdoor terrace dining area, three lounges, four bars, a lecture theatre and cinema, a library, a shop, an internet centre, a medical centre, an outdoor pool and jacuzzi and a beauty salon. There are 14 cabin categories to choose from. 26 October – "Man fears time, time fears the pyramids", Istanbul-Cairo. For more information about Voyages to Antiquity visit www.cruisetraveller.com.au. To book a cruise, e-mail sales@cruisetraveller.com.au or call 07 5575 8094. Voyages to Antiquity, a specialist cruise company which offers history-themed journeys to the sites of ancient civilisations, will launch its first programme to the Orient, commencing in November this year. The Orient programme is based on the company’s highly successful core product of themed cruises to historic locations around the Mediterranean. 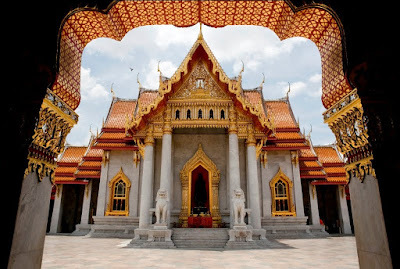 There will be 10 cruises around the Orient, aboard the 378-passenger “Aegean Odyssey”, exploring the political, architectural and art histories of countries including India, Sri Lanka, Burma, Vietnam, Cambodia, Thailand, Malaysia, Indonesia, Singapore and Brunei. Priced from $3,550 per passenger, excluding air fares, the Orient voyages will range from 15 to 21 days. Some cruises can be joined together as “Grand Voyages”. A key inclusion in Voyages to Antiquity cruises is the use of expert guest speakers to provide background commentary about the history of destinations visited. As well, Voyages to Antiquity includes in all fares a comprehensive shore excursion programme, wine with every dinner on board the ship, gratuities and port charges – features which attract extra expense on the majority of other cruises. Mr Yellow said his company’s core programme of cruises around the Mediterranean had proved extremely successful in the two years since its launch, with many passengers returning to experience different itineraries in the programme. He said sales in Australia were strong, not just because of the favourable Australian dollar but because this was a mature cruise market, with a wide variety of product on offer and differing requirements from customers. The “Aegean Odyssey” features 14 cabin options, two restaurants and an outdoor terrace dining area, three lounges, four bars, a lecture theatre and cinema, a library, a shop, an internet centre, a medical centre, an outdoor pool, a Jacuzzi and a beauty salon. To make a booking, contact sales@cruisetraveller.com.au or call 07 5575 8094. Oceanwide Expeditions, South Georgia Ski Crossing has been selected by Outside, America’s leading multimedia active-lifestyle brand, as a recipient of its first ever Active Travel Awards. The South Georgia ski crossing was honored in the ´hall of fame´. The full list of award winners will be published in the April issue of Outside magazine, available on newsstands across the United States March 13, 2012 and online at Outside Online , click here . eWaterways (www.ewaterways.com.au) the niche and river cruise experts, has announced the expansion of their luxury cruise portfolio with the charter of the stunning river yacht, Royal Crown, for next three years. Cabins on a range of the most popular European river cruising itineraries for Australians, including the "Grand Europe Journey" from Budapest to Amsterdam, will now be made available at exclusive introductory prices. Peter Smith, General Manager, Australia & New Zealand says, "This addition to our product range shows just how far eWaterways has come in the last 12 months as the premium supplier for all things small ships – wherever in the world and whatever style, eWaterways are the small ship travel experts." Royal Crown, a stylish, luxury cruiser renowned for its private members' club feel and Individual client service will begin the new sailing programme with eWaterways this April to offer an authentic exploration of some of Europe's most iconic cities via historic rivers and lesser known waterways. At full capacity, Royal Crown caters for just 90 guests in a total of 45 luxuriously appointed cabins. Often described as an "Orient Express on Water", the river yacht exudes 1930's glamour and style with Art Deco design and exquisite fine dining on board, where every meal is a sumptuous feast. Royal Crown is an elegant river cruiser, furnished to the standard expected of a five-star hotel. Built in 1996 and completely renovated in 2010, the yacht caters for just 90 guests in a total of 45 luxurious cabins. Royal Crown combines the nostalgic charm of the 1930s with the highest degree of comfort and luxury, supreme service and exquisite cuisine. The elegant décor of dark wood and classic warm colours permeates throughout the stylish public areas such as the spacious lounge deck and sumptuously furnished cabins, making the Royal Crown the ideal choice for exclusive cruising on some of the most beautiful rivers of Europe.